Winter is a time of year when we get to appreciate what we have living (or enjoying the season) in Florida. While friends and family members are scraping ice off their windshields, we are wiping sand off our feet. While they are stuck inside because of subzero temperatures, we are enjoying the seabreeze at sunset. While they are adding layer upon layer of clothing just to go outside, we are peeling off sweaters as the day warms up. This time of year is when Siesta calls my heart, as it does to many of our seasonal visitors. If Siesta has been calling you, have a look at this wonderful new property that just came on the market, perfect for a beachfront retreat for seasonal snowbirds or a pied à terre for a downtown dweller to escape to Siesta. I’m excited to share this new property with you. Sea Village is a beachfront paradise on the aqua waters of the Gulf of Mexico. It is all about THE VIEW! The sounds of surf breaking will rock you to sleep at night after enjoying unparalleled sunsets. The tropical landscaping draws your eye right out over the sparkling waters — A million-dollar view for almost half the price can be yours. This rarely available second-story unit has recent updates that will WOW! Recently updated kitchen, baths, hurricane windows/sliders, and even fresh paint - ready for you to make it your own. The renovated kitchen features great cooking equipment, stainless appliances, feature open shelving, wine cooler, and lovely granite counters over self-close solid wood cabinetry. The spacious balcony from the wide double-width sliders offers an unobstructed and spectacular view of the Gulf and is accessible by both the master suite and the open-concept living room. Plantation shutters in key spaces bring the beach feel inside, whether on the roomy balcony or looking out from within. The living space inside is open, perfect for modern tastes. 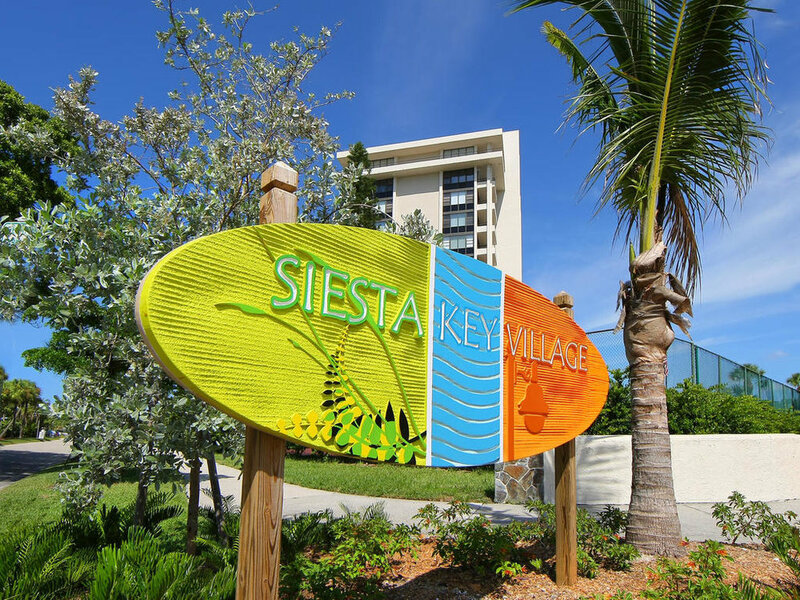 Sea Village is a coveted two-story condo community on the north end of Siesta Key. The intimate community has 39 residences only. In addition to the magnificent water vistas, Sea Village offers two swimming pools and a day dock for sunning, sunset, and fishing. The staggered design gives each residence the feel of a single-family home. Your only neighbor is above or below you — no shared walls. The tropical landscape surrounding the grounds make for a peaceful retreat while sunning, swimming or reading waterside. 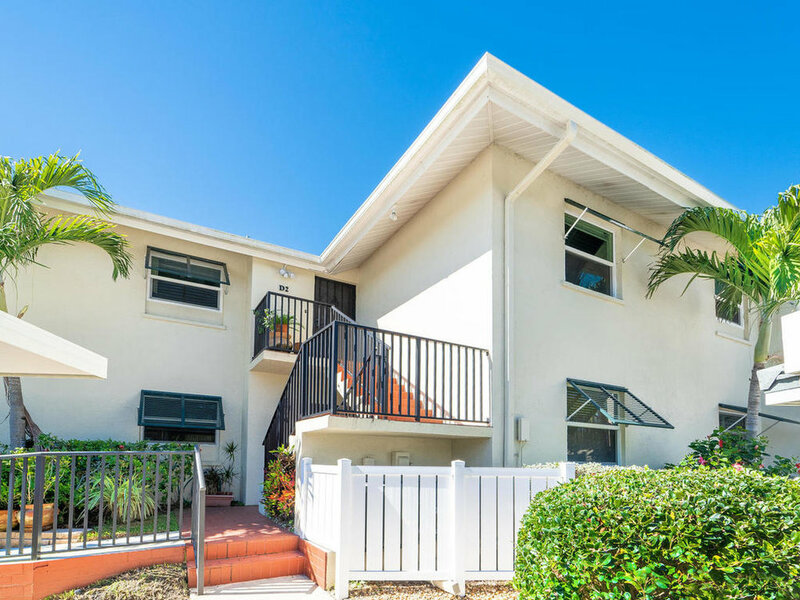 Just minutes from the public beach and Siesta Key Village, this north Siesta location makes for easy-on, easy off the island while keeping you nearby all the action. 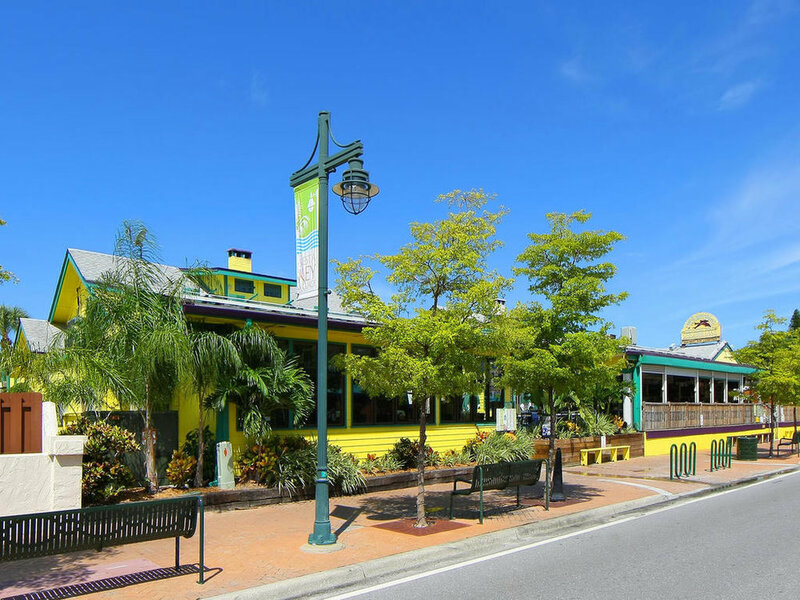 Grab a cold one at Siesta staple, The Old Salty Dog, or enjoy breakfast on the patio of Village Café before starting your day. Enjoy days at the beach? Swing by Daiquiri Deck on your walk home for some Oysters Rockefeller and a Purple Haze Daiquiri. 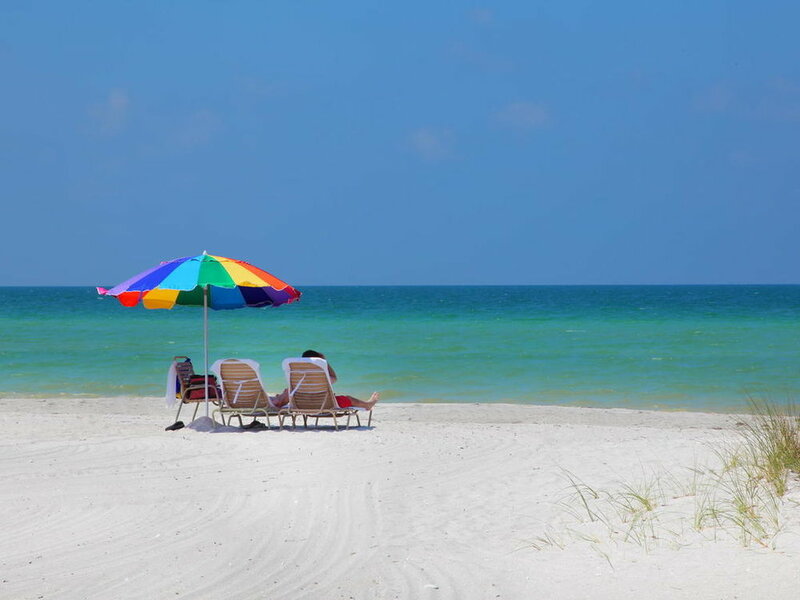 Don’t miss your chance to be on one of America’s best beaches for this price! Not looking yourself? Save a friend from the arctic north. There is no better way to populate our community than with friends of old. If I may assist you or someone you know in finding their perfect life in Sarasota, whatever that may be, please give me a call today. Until then, enjoy the rays while everyone else is counting down the days ‘til spring!